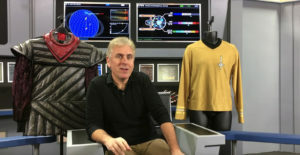 ALEC – We get one shot at making Axanar. One. The settlement lets us use the same actors, and to spend as much as we want on the production as long as it’s just a half hour. But once we do that, the settlement that both constrains us and protects us is done. So this is our one chance to get it perfect. And that’s going to cost money…probably $150-200K. And it’s not like we can shoot a few scenes now and more later. We need to rent out a green screen studio and that is expensive. Renting multiple quality cameras is expensive.. Each time we shoot an actor, that’s a full day of filming. So we can’t afford to do one scene now and others later. It’s all at once. Most people don’t realize that and keep asking why nothing has been filmed yet. Nothing has been filmed yet because we haven’t entered the production phase yet. And that will happen once we’ve raised funds…just like other independent films do. Right now, we are doing what can for pre-production. We’re designing the Klingon uniforms, casting actors, refining the scripts, creating punch-lists, working out the line-item budgets, etc. In other words, we’re doing everything we can do to prepare for when we have money to start production. But we are still going to need that money first. JONATHAN – But you said you can’t crowd-fund. ALEC – We can’t PUBLICLY crowd-fund. And we don’t plan to. But we can accept PRIVATE donations. To do that, we need a way for fans and supporters to donate. That‘s Ares Digital 3.0…which is being finished by my good friend Jerry Ablan, who worked with me from 1999-2008 as CTO of Auctionworks, which was eBay’s premier sales automation partner. Jerry’s system was handling 10 million transactions a month at Auctionworks, so Jerry knows how to build large, scaleable systems. Jerry has taken Ares Digital 2.0 down and is updating and upgrading it. With Ares Digital 3.0 in place, we can do a number of things. 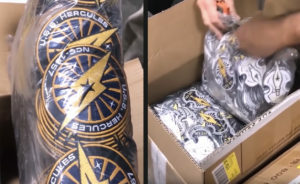 First, we can finally send out the perk patches for the Indiegogo campaign, and I know those have been a long time in coming. But the patches are finally in—and they look fantastic! So once Ares Digital 3.0 lets us update the correct mailing addresses for all of our donors and we can generate all of the thousands of mailing labels and know which patches everyone is getting, those will be sent out. Then, Ares Digital 3.0 will allow for a place, password-protected, where existing donors can come (and new donors can sign up) to contribute privately. So it’s NOT a public crowd-funder, it’s private donations directly from fans. JONATHAN – It’s a fan-funder! ALEC – Whatever you want to call it, Jonathan. JONATHAN – But that still doesn’t explain why it was so important to finish the bridge and have Axacon. ALEC – Enthusiasm and momentum. Had we tried to raise private donations a year ago or even six months ago, I doubt we would have made it to $100,000. But Axacon forced us to get that bridge set to a point where it’s nearly completed, and everyone is raving about it. Even Carlos Pedraza couldn’t bring himself to blog about it because he and the other haters had said it would never be finished and instead it looks amazing. Also at Axacon, we filmed every panel and did nearly two dozen interviews. JONATHAN – I remember…mostly because you made me be the interviewer for more than half of them! Jonathan Lane (me) interviewing Gary Graham and J.G. 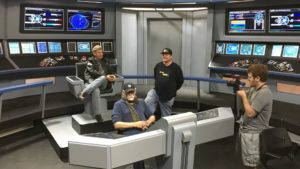 Hertzler on the bridge of the USS Ares. ALEC – And you did an awesome job! Well, all of those interviews give us content for our new YouTube channel and Patreon for the next year. 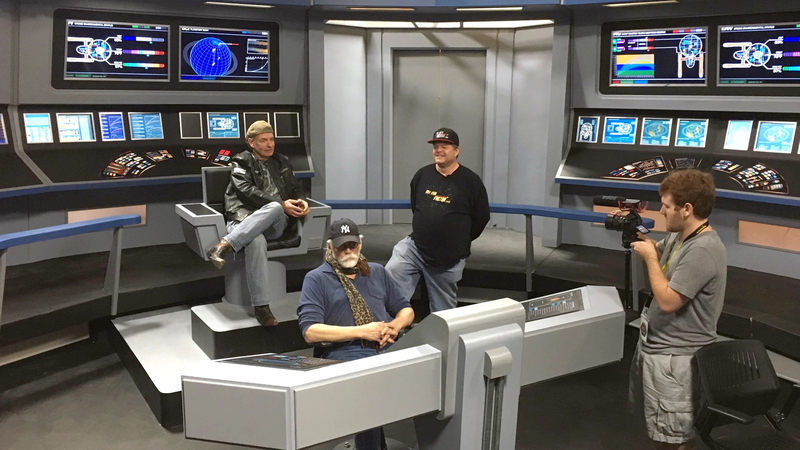 Plus, we’re doing Axanar production updates, donor updates, and production logs. And each video is getting views in the tens of thousands. An update video from December 27 has more than 103K views so far. And we’ve got over 72,000 subscribers! NOW we’ve got the visibility and momentum. We’re being very methodical. I’m sorry that it’s taking longer than some people would like, but that’s just our reality at the moment. In fact, I dare say that this is a great time to be making Axanar. 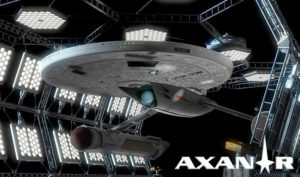 People are flocking to Axanar because it is the Star Trek that many want to see. Discovery is very polarizing, and Axanar sits at the pole opposite Discovery. 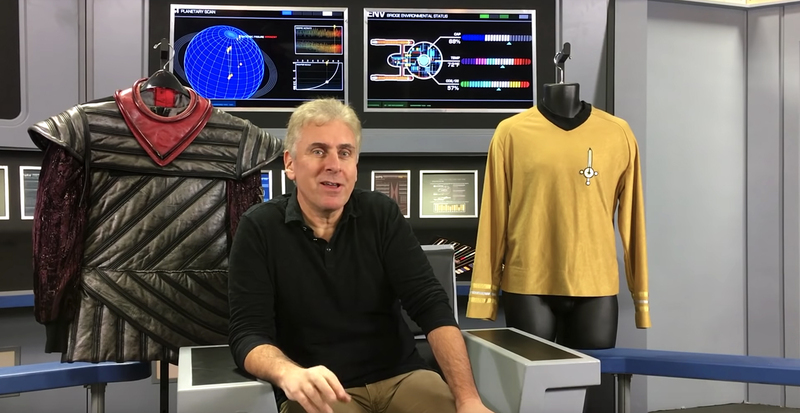 The # 1 comment you see on YouTube for us is that fans wish that CBS had chosen to make Axanar rather than Discovery. So we need to strike while the iron is hot. 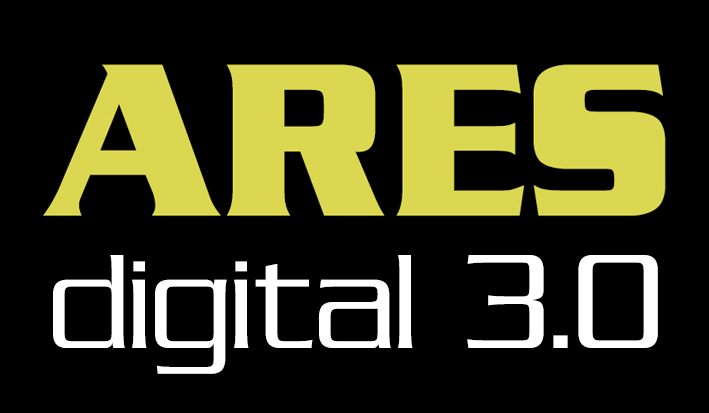 Once Ares Digital 3.0 is up and running, which we hope is in February, we’ll let our subscribers know about it and invite them to sign up for our mailing list. We also have our mailing list of previous donors with tens of thousands of names. We’re allowed to e-mail people privately to invite them to donate to Axanar. We just can’t announce publicly that we’re raising money. And I intend to abide by that requirement in the settlement. JONATHAN – What does the settlement say specifically? ALEC – I can’t discuss the details of the settlement because they’re confidential on both sides. CBS and Paramount can’t discuss them either. But just know that the settlement outlines what I can and cannot do in a very detailed way. So I can’t publicly announce or promote the fund raiser, but I can say, “If you want to learn more about the production, please sign up for our mailing list.” There’s nothing in the settlement that prevents me from doing that. JONATHAN – Well, then let me ask you a question. Maybe YOU can’t tell people to come to Ares Digital to donate…but can I? After all, I never signed the settlement with CBS. I don’t work for you. I’m just a blogger. ALEC – I can only tell you what I am not allowed to do, Jonathan. I can’t tell you what you can and can’t write on your blog. That’s up to you. JONATHAN – And other Axanar supporters…is there anything stopping THEM from spreading the news themselves on social media? ALEC – Jonathan, look, I know what you’re trying to do here, and I have to tell you again: the settlement only applies to ME. It doesn’t apply to you or anyone else who wasn’t named in the lawsuit. Anyone is free to talk about this publicly if they want to. But I can’t and won’t be directing anyone to do or say anything. The settlement is very clear on what I can and cannot do, and I fully intend to honor it to the letter because I want Axanar to be made. And I know that a lot of people out there feel the same way. JONATHAN – That we do, Alec. That we do! Click here to visit the Ares Studios Patreon.